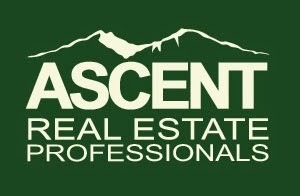 As mentioned in previous posts, I've been working hard on creating my brand new site - Ascent Real Estate Professionals - and now it's live! I appreciate your loyal reading and I will continue offering you great advice on my new site. You may have noticed a lack of recent blog posts. I have been currently working on a new, exciting project that I am thrilled to share with you - hopefully by April 1st. If you are a real estate buyer or seller in Northern Colorado, please stay tuned, you're in for a treat. Let's face it, when there is more demand, prices will go up. The only problem is these prices don't just go up over night. It takes months and usually years to see major price increases in a given area (if the market isn't artificially inflated of course). So assuming just because your neighbor sold his house for full asking price means that you can add a few percent on yours, won't pan out. Be realistic and review the comparables when setting list price. Also, if you get feedback from showings saying the home is great, but over priced, take that as a sign to adjust accordingly. Lack of showings might not mean it's overpriced, but a price reduction resets the listing in all agent and buyer saved searches, and gets more people interested in seeing your home. Assuming that any buyer is lucky to have your house. Assuming you can charge a premium because your home is so much better than the entire neighborhood. Assuming multiple offers are coming your way. There are two separate problems you will face when accepting offers, what to accept, and when to accept. Accepting Any Offer: A buyer comes to see your house and automatically offers 3% above asking price. You've got other offers but they don't compare to this one. You accept it. Three weeks later when your home appraises around your original list price (not the 3% inflated offer), the buyer refuses to go forward unless you drop the purchase price to match the appraised value. Some buyers and scheming Realtors will do this in order to get an offer accepted over others, knowing it won't appraise. This is where carefully knowing your comparables comes in. Accepting the First Offer: If you're very well priced, you should receive a large amount of showings within the first week. If you have a slate full of showings and great feedback, only then can you expect to have multiple offers. If that is the case, don't just accept the first offer. Have your Realtor follow up with all buyers that have shown interest and understand how many other offers may be coming in. At that point, you'll have the opportunity to get buyers to compete with their highest and best offer. Having multiple offers allows you to pick the best terms, conditions and most qualified buyers, not just the best price. It's always good to understand where you can go wrong even when the market is tilted in your favor. Avoiding these mistakes will help you keep your cool during this hot market. 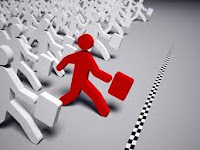 Have you noticed how competitive the real estate market is getting? If you're not in the market, you're missing out on all the fun! If real estate was a game, the commentators would say "It's getting chippy out there". And it certainly is getting chippy. In today's market, when buying a home, you're opponent is not the seller, it's all the other buyer's jockeying for the very few homes available. If you want your offer accepted here are three ways to make it stand out. It goes without saying that if you're working with high quality professionals, you're more likely to get the outcome you want and deserve. Professionals know how to get the job done while preserving your best interests. A hardworking and well respected Realtor will know how to craft, present and negotiate your offer and make it stand out. A proactive lender will not only have you pre-qualified, but will also advise you on which loan programs will make your offer more acceptable than others. A great team of professionals will make you and your offer look great. Knowing what can go wrong from offer to closing can help you craft your offer in a way that is more appealing than your competition. Low appraisals, inspection issues and loan approval are the three biggest hold-ups that can kill a deal. To beat the possibility of a low appraisal, submit your offer based on neighborhood comparables and add them to your offer. You won't have control over the final appraisal figure, but knowing that you aren't drastically overpaying will assure both parties that the appraisal won't be an issue. To cover the inspection issues, decrease your contingency periods. I still suggest doing normal due diligence and inspection, however, tighten those periods so if you do have to back out, your seller will only have the home off the market for a short period of time. To combat a loan approval issue, make sure you are fully qualified with your lender and have your pre-approval letter ready to go. The more down payment you're able to bring to the table will make you look financially stable and in a better position compared to other buyers. Being proactive is the best way to make your offer stand out. If you truly want the home, put your money where your mouth is, and pay full price or even above asking price. If you can justify it (using comparables - see #2) then pay what you can. There are plenty of buyers out there who find a perfect home, then put in a low-ball offer just to see it get rejected. This isn't a low-ball market anymore and buyers need to understand that. The more skin you can put in the game, the better the chances are of getting an offer accepted. It's a tough market out there for buyers. If you want a winner on your team who can get the job done and beat other offers, call me today so I can get to work taking down your competition. What is the market like in your part of town? If you're a buyer, have you seen the increased competition for homes, even missing out on a few? Sellers - have you seen multiple offers on your home? Let me hear from you! Copyright 2010 Prudential Financial, Inc. and its realated entities. An independently owned and operated broker member of Prudential Real Estate Affiliates, Inc., a Prudential Financial company. Prudential, the Prudential logo and the Rock symbol are service marks of Prudential Financial, Inc. and its related entities, registered in many jurisdictions worldwide. Used under license. Equal Housing Opportunity. © Copyright Jared Reimer. Picture Window theme. Theme images by AndrzejStajer. Powered by Blogger.